Enjoy specialty menus at participating Patriot Place restaurants and enter for a chance to win a $250 Patriot Place gift card. Patriot Place is offering foodies a chance to escape the long winter and explore what the shopping, dining and entertainment destination has to offer with Restaurant Week. Diners can enjoy a delicious night out at participating Patriot Place restaurants from March 12-22 and enter for a chance to win a $250 Patriot Place gift card. Restaurant Week will feature specialty menus at discounted prices for seven restaurants throughout Patriot Place: CBS Scene Restaurant & Bar, Olive Garden, Skipjack’s, Splitsville Luxury Lanes, Tavolino, Toby Keith’s I Love This Bar & Grill and Twenty8. All restaurants will offer multi-course menus for dinner. Additionally, Skipjack’s and Tavolino will be offering lunch specials. To kick Restaurant Week off, Patriot Place is offering free valet parking, located between Davio’s Northern Italian Steakhouse and Bar Louie, on Thursday, March 12. 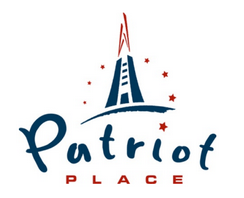 For more information about Patriot Place Restaurant Week, including complete menus and pricing options, visit www.patriot-place.com.